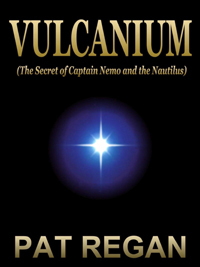 VULCANIUM is a prequel to Jules Verne's 20,000 Leagues Under the Sea. 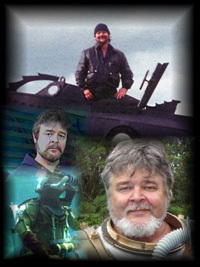 Who were Captain Nemo and the crew of the Nautilus? How and why did they build the World's most advanced submarine and use it to wage war against some hated yet undefined nation? What events, adventures, and tragedies led up to their fateful encounter with the U.S.S. Abraham Lincoln? The year is 1858: Step aboard the prison ship Moira and embark on the mother of all underwater adventure stories. Take the voyage! "Riding low in the water and bristling with iron barbs, the Nautilus was a menace to navigation: in a collision with her, a wooden ship would suffer grievous damage. Certainly, the conservative observer would condemn the submarine as an infernal machine the civilized world could never tolerate in rebel hands. But if the Nautilus was built to stand down for no one, she was only as hard and unforgiving as the World had been to the men who built her."